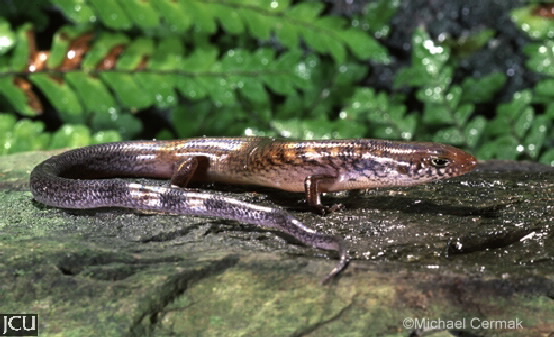 This fat-bodied nocturnal skink is commonly found in a variety of coastal habitats where it can be located sheltering under rocks, litter and debris. The body is brown to grey-brown with irregular small dark flecks or spots particularly on the flanks; the terminal portion of the tail may be quite dark. The belly is white to cream.